LIFE’S A BEACH WITH VOLKSWAGEN! 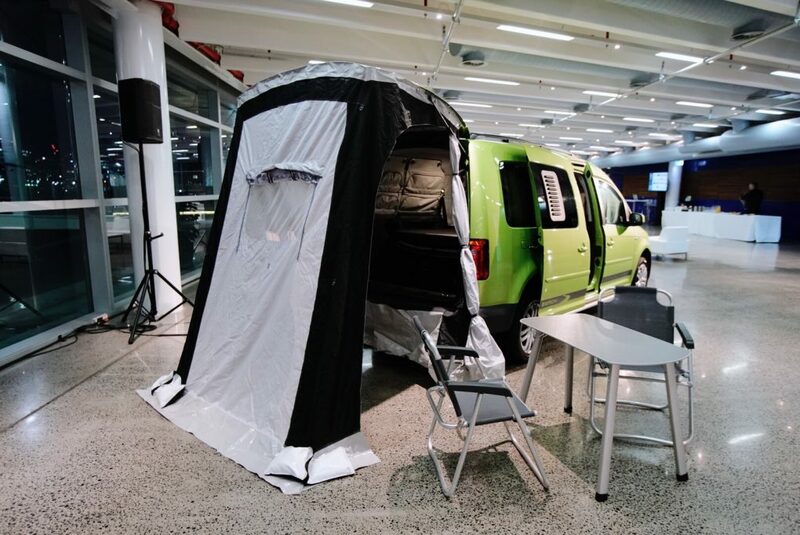 How about this BEAUTY of a vehicle, that will arrive on Aussie shores later in 2018… The Volkswagen Caddy Beach! We love it, and can’t wait to give one a test drive. 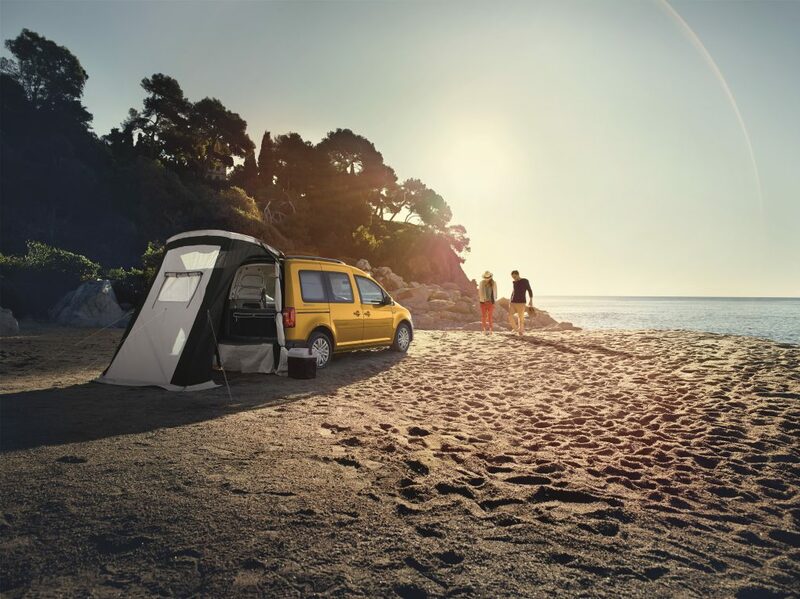 The Caddy Beach builds on the long-wheel-based Caddy Maxi Trendline with exclusive features for traversing the outdoors in comfort, safety and style. It produces 220Nm of torque and drives through a seven-speed DSG. 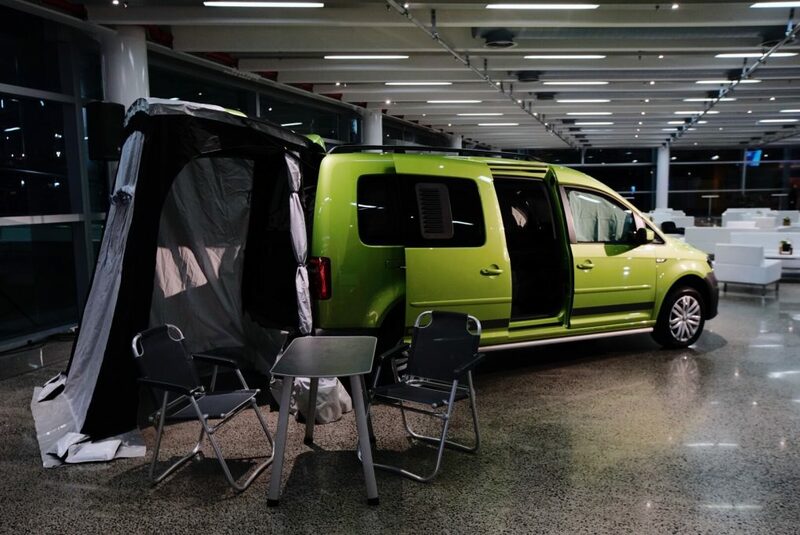 Highlights include a fold-out bed, a walkthrough tent at the tailgate, two compact folding camp chairs and a table, tray tables for rear passengers, block-out window curtains, a rechargeable torch, and four storage bags for rear side windows. With five folding seats and generous interior space, the Caddy Beach can get a family on the road without a trailer. 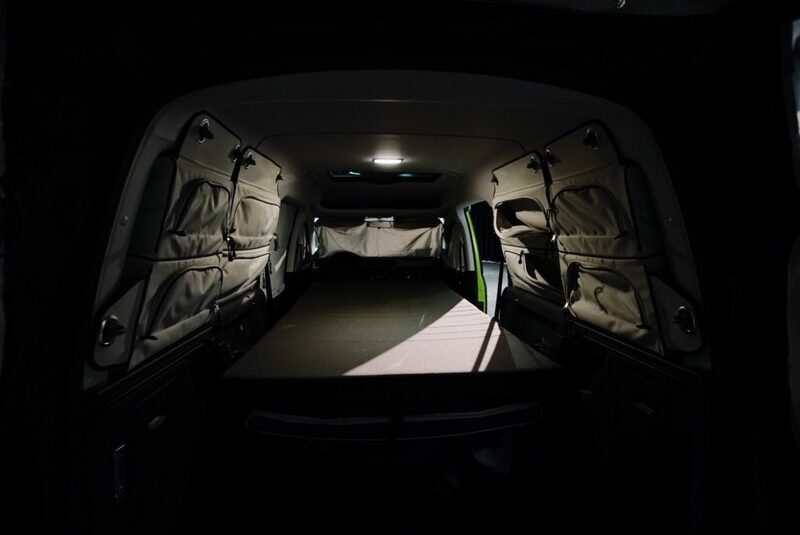 The vehicle’s practicality is paired with advanced safety technologies, such as autonomous braking (Front Assist with City Emergency Brake), Adaptive Cruise Control, Lane Assist and fog lights with cornering functionality. The Caddy Beach is recognisable by its bi-xenon headlamps, 17″ ‘Canyon’ alloys, and a special ‘Beach’ decal. Darker elements like black roof rails, tinted rear tail-lamps and tinted passenger windows create a stylish contrast with the paint finish of the vehicle, available in six colours. Inside, a colour multifunction display adds a premium look to the dash. Six speakers are placed around the cabin linked to a Composition Media infotainment system with App-Connect. The Caddy Beach will be priced from $44,990 RRP.